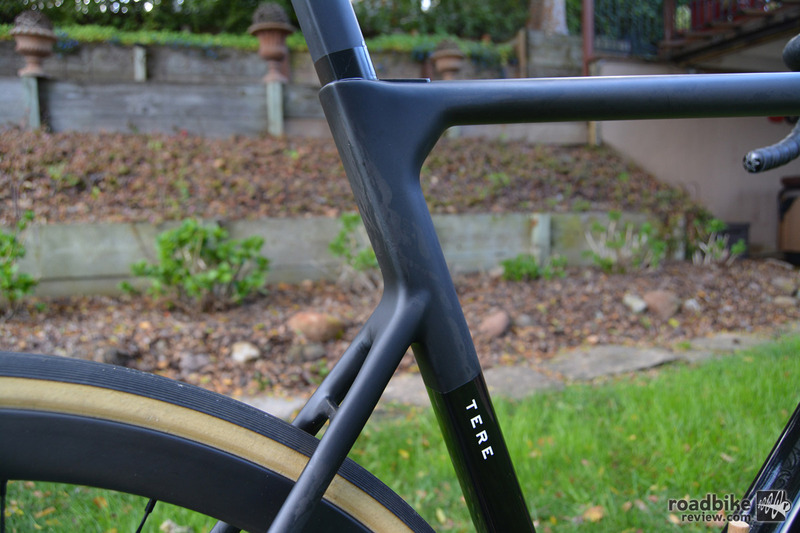 The Chapter2 Tere frame has claimed weight of 1015 grams. Chapter2 is a new company started by Mike Pryde out of New Zealand. Previously Pryde was responsible for launching the bicycle product line for the Neil Pryde group (his father’s namesake). Neil Pryde is based in Hong Kong and got its start making sails and carbon fiber masts for windsurfing. Pryde leveraged their early expertise in carbon fiber engineering and manufacturing to start Neil Pryde bikes in 2010. They were successful and won several international design awards while sponsoring the United Healthcare Pro Cycling team. More recently, Pryde has ventured out on his own, launching a new brand of bikes designed in New Zealand. Fittingly he calls the new endeavor Chapter2. And in case you’re curious, Tere means swift and fast in Maori, the language of indigenous people of New Zealand. 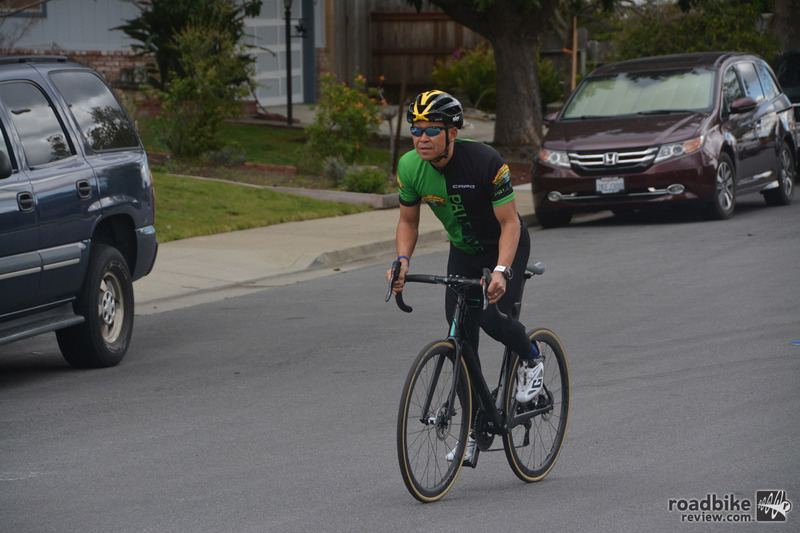 Pryde’s passion is to build bikes that inspire him. Complete bike weight with LOOK Keo pedals was 16.8 pounds. Pryde’s business model is to sell just the frame and let the customer pick and choose their dream components. Given how the Internet has disrupted the cycling industry, this is likely a good strategy. You can order the frame direct and have your local bike shop build it up as you wish, a win-win for frame-maker, retailer, and customer. Pryde also has distribution partners/retailers, so you can order the frame locally and have it built to your desire. 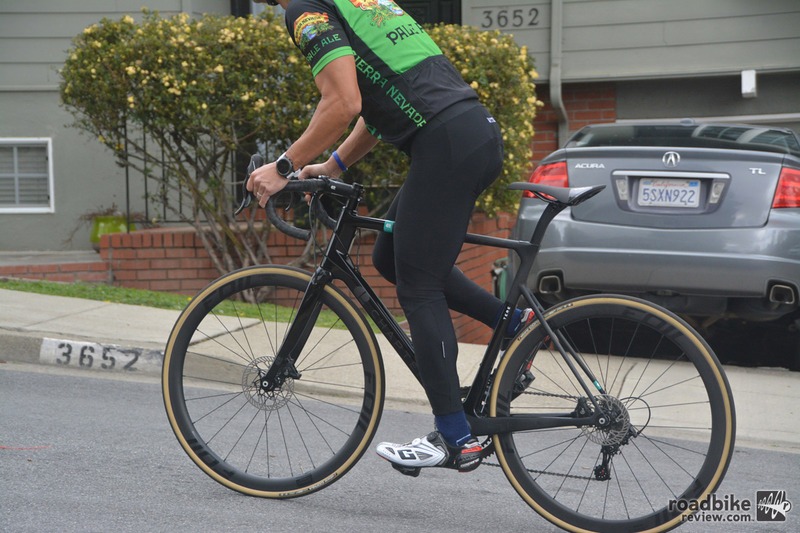 The bike tested here came from one of his partners, Glorycycles in Greenville, South Carolina. Press play to learn more about the general design philosophy. The frame design is called “Compact-Aero” and features Kamm-Tail shaping behind the head tube, seat tube, and seat post. The bike was expertly packed and I had it unboxed and ready to ride in less than an hour (59 minutes to be exact). Most of the work was simply removing protective foam and padding. There was very little assembly required, a welcome relief compared to most bikes I’ve tested. The unpacking experience is the same as what a new buyer would experience. 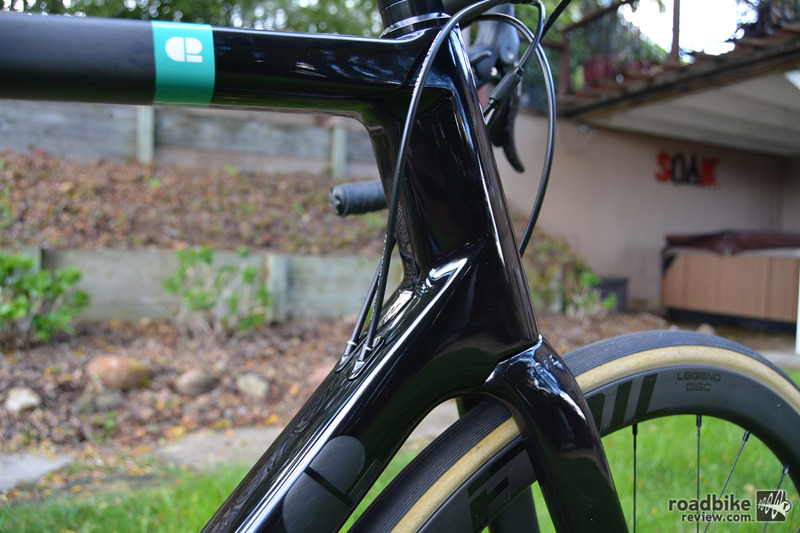 The frame design is called “Compact-Aero” and features Kamm-Tail shaping behind the head tube, seat tube, and seat post. Kamm-Tail is essentially a truncated air foil shape. 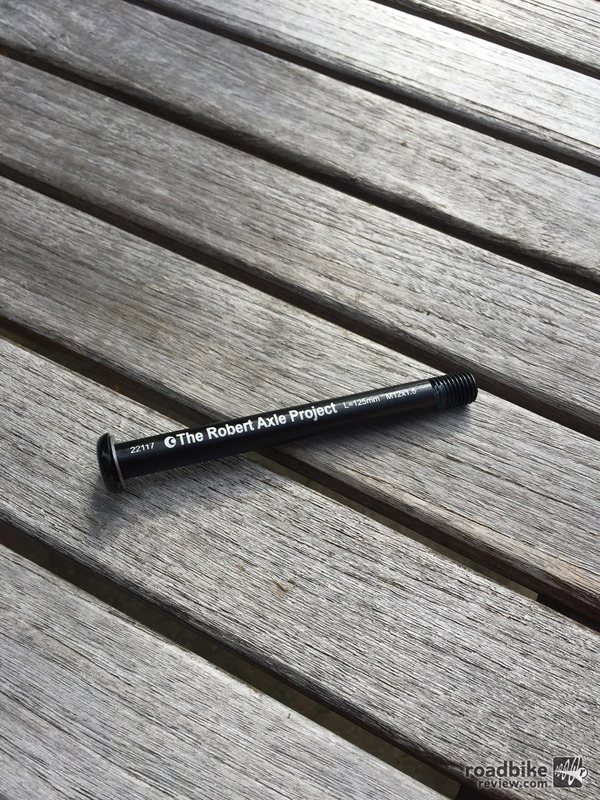 Traditional round tubes are strong but not very aero. Air foil or tear-dropped shapes are more aerodynamic but not as strong. The Kamm-Tail design is both strong and aero. Additionally, the bike is beautifully finished with a combination of matte and gloss paint. The business model is to sell just the frame and let the customer pick and choose their dream components. 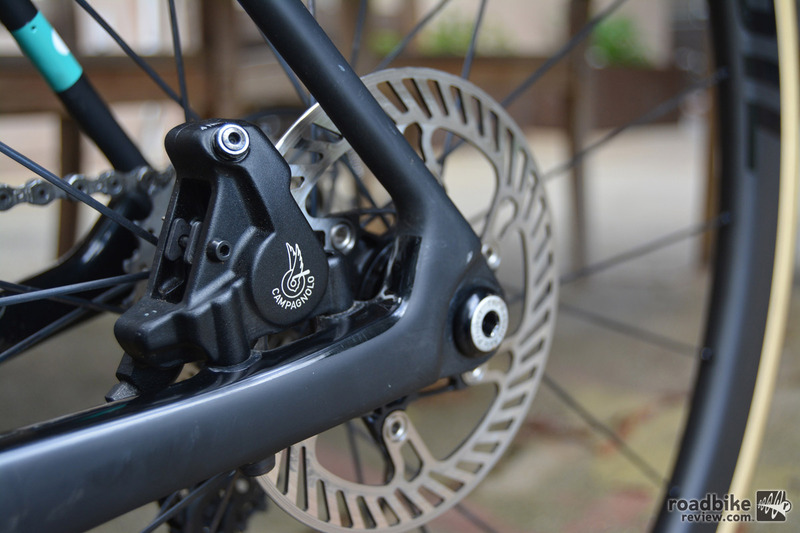 Our test bike was equipped with top-of-the-line Campagnolo H11, their disc-brake specific components that includes crank, rotors, calipers, and brakes/shifters. 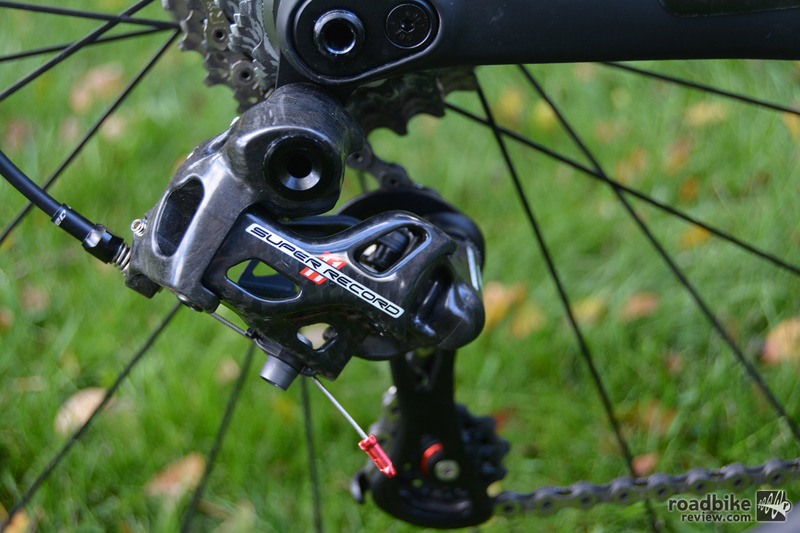 The bike was rounded out with Super Record front and rear derailleurs. 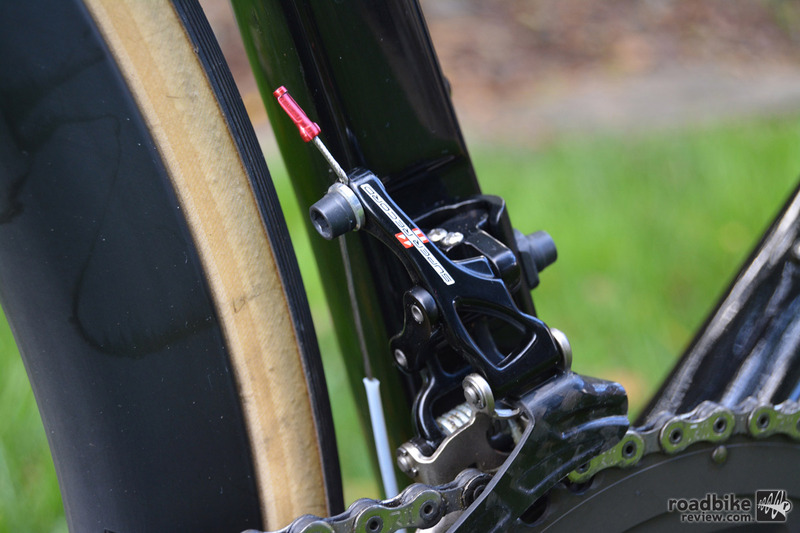 Interestingly, the front derailleur is trimmable with a surprisingly wide range of motion. The brake hoods feel incredible, an ergonomic triumph. 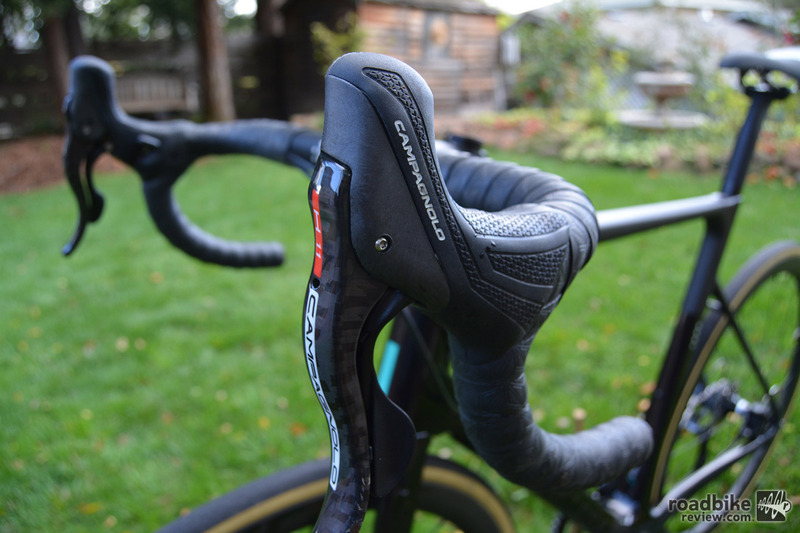 The cockpit includes a Chapter2 branded aluminum stem and Fizik Cyrano alloy bars. I thought carbon bars would be more in line with the rest of the build, but the shape was comfortable. And who ever did the bar-tape job deserves a raise. Just flawless. 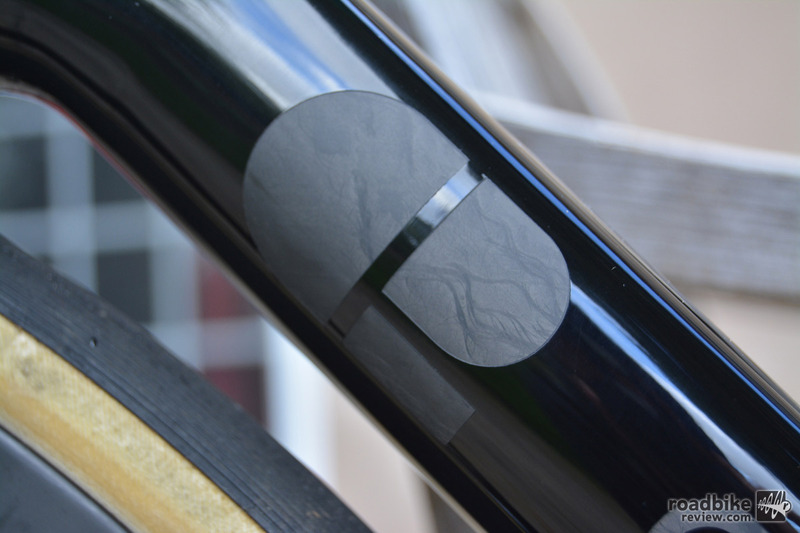 The wheelset is from another New Zealand-based company, Foil. The rims are 38mm deep and have a width of 26mm external/19mm internal. 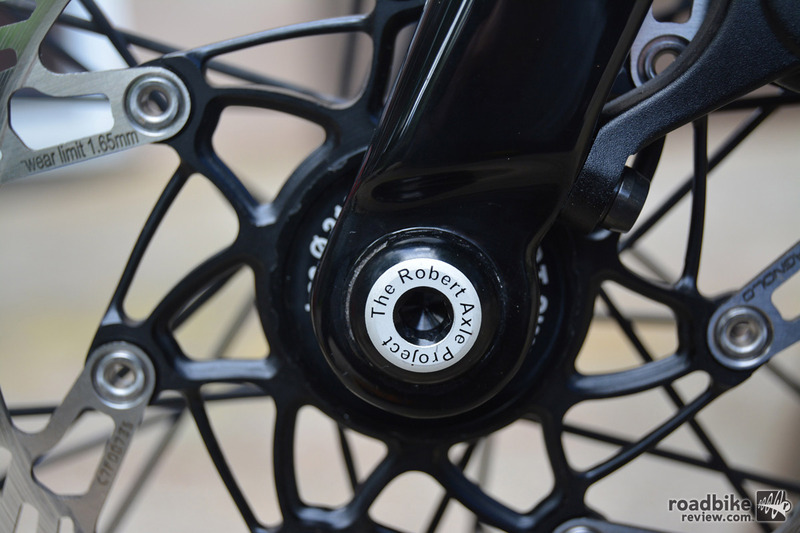 They feature exceptional DT Swiss 350 hubs and really interesting through axles made by The Robert Axle Project. They are truly minimalist in design, as the front axle weighs only 28 grams. You just have to remember to carry a 6mm Allen wrench in case you get a flat. 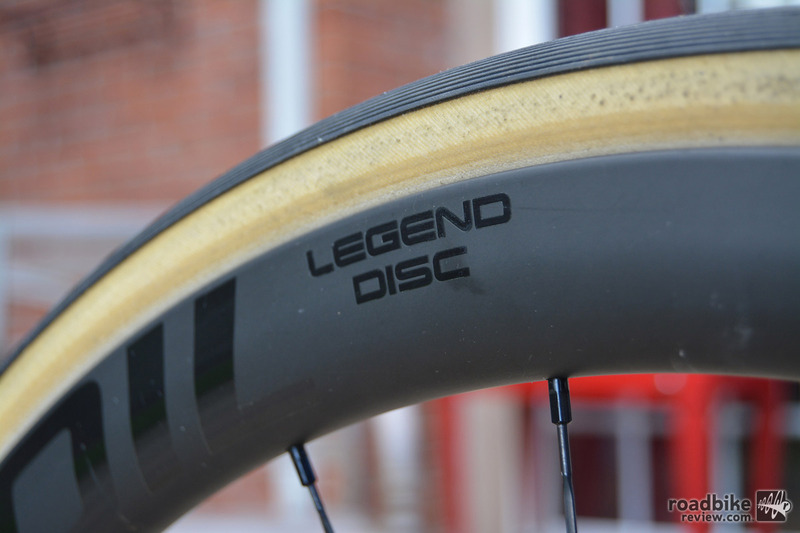 The wheelset is wrapped with comfortable and smooth Vittoria Corsa tires that are 700×25, though they appear much wider due to the wide rim width. Our test bike was spec’d with 38mm Foil Legend Series Carbon Disc wheels with 19mm internal width. Rounding out the bike spec is a beautifully finished Fizik Aliante saddle. 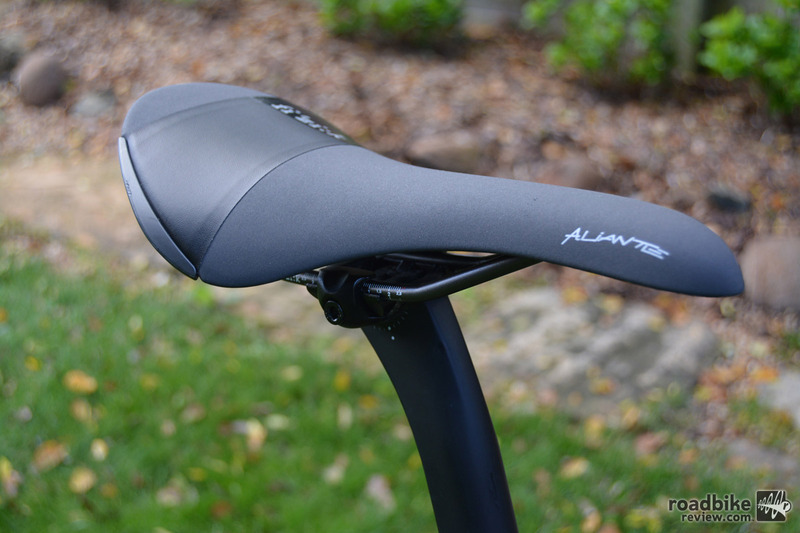 I’ve written before how in my opinion this is likely the most comfortable saddle ever – for commuting. But for more active riding, if you like to move around on the saddle, it may not be right for you. This is because of its unique shape. You tend to sit “in” the saddle rather than “on” it. Also, because the rear end slopes up dramatically, sliding back raises the distance to the pedal, which can lead to knee pain. Rather than clouding the review with the saddle choice, I replaced it with my personal go to, the Fizik Antares. The Antares has a flatter profile that makes it easier to move around. I was really excited to ride the bike with its impressive component group and it did not disappoint. The bike is remarkably smooth and the tallish head tube enhances comfort. The silent hubs further this smooth feeling. And the Campy shifts crack off sharply with precision. The bike feels extremely solid, a sharp contrast to my daily ride, a 2011 Cervelo S3 that seems almost fragile by comparison. The bike has a smooth and effortless ride quality. However, based on my experience riding aero road bikes, I was a bit skeptical about its climbing ability. While fast in a straight line and hammering on the flats, aero road bikes I’ve ridden in the past aren’t really suited for climbing. They seem to have a sort of mushiness in the rear end under power on climbs. Well the Tere was not like that. In fact, the bike felt very responsive and connected while climbing. Perhaps it was due to the massive tubes and through-axle wheelset. Whatever the case, I didn’t detect any flex even under hard uphill accelerations. Overall the bike was very responsive, with every ounce of effort translated to forward motion. Yet somehow the bike is also extremely comfortable. If I had to sum it up I’d call it versatile. I managed to set a few Strava PRs including a 2-mile segment that includes a winding descent followed immediately by a grind of a climb. This bike would be perfect for longer rides like Gran Fondos, just as Mike Pryde envisioned. 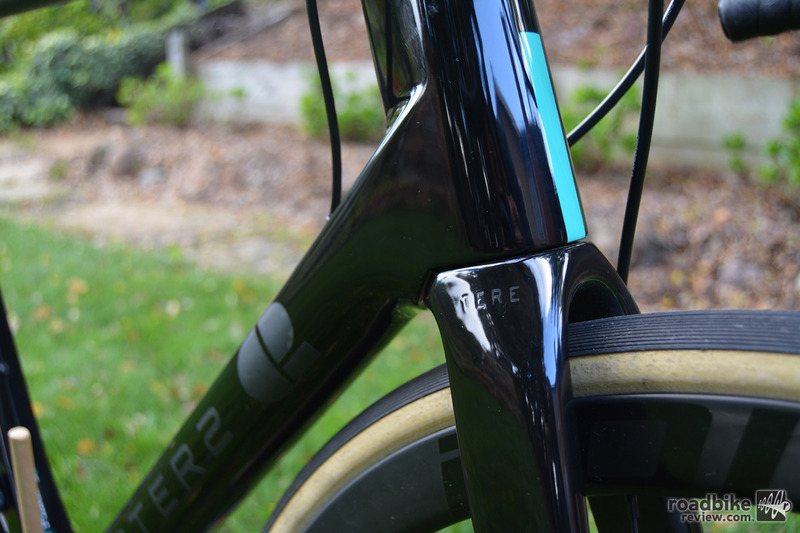 The Chapter2 frameset comes with a proprietary aerodynamic d-shaped carbon seat post. But don’t just take my word for it. 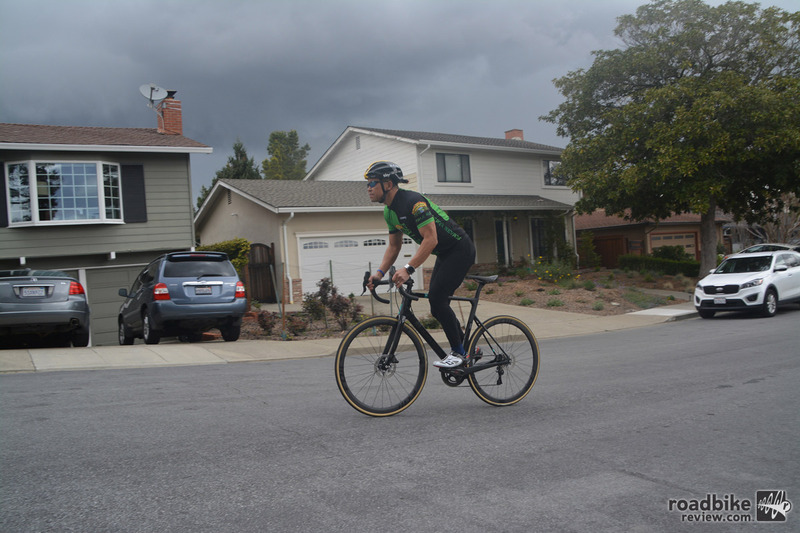 After completing my test session, I loaned the bike to a friend (and all-American triathlete) to get another perspective. He was also impressed. The fork felt flexy compared to a rim brake bike. As an additional note, I must mention that this was my first experience with disc brakes on a road bike. 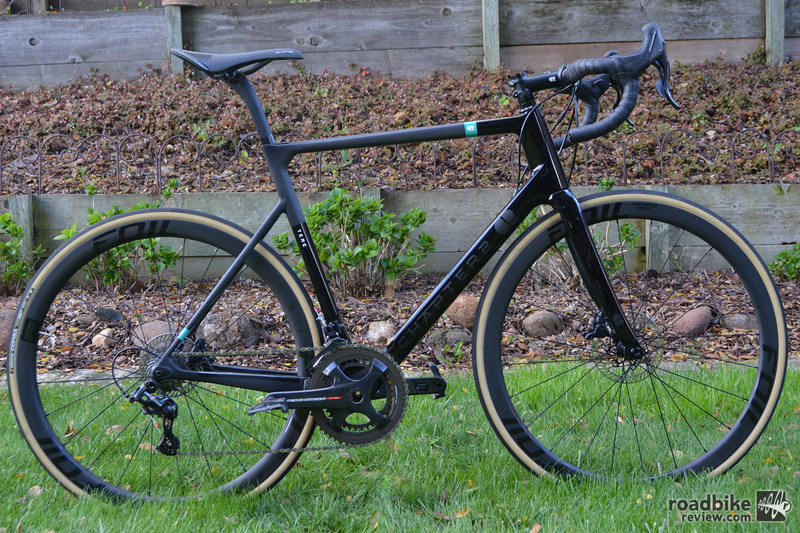 Frankly, I’m still not sold on disc brakes as I’m a weight-weenie at heart and I think disc brakes add unnecessary weight and complexity, but I get that this is where the industry is firmly headed. I found the braking to be excellent and I do admit it improved confidence a bit while descending. However, the feel is different. 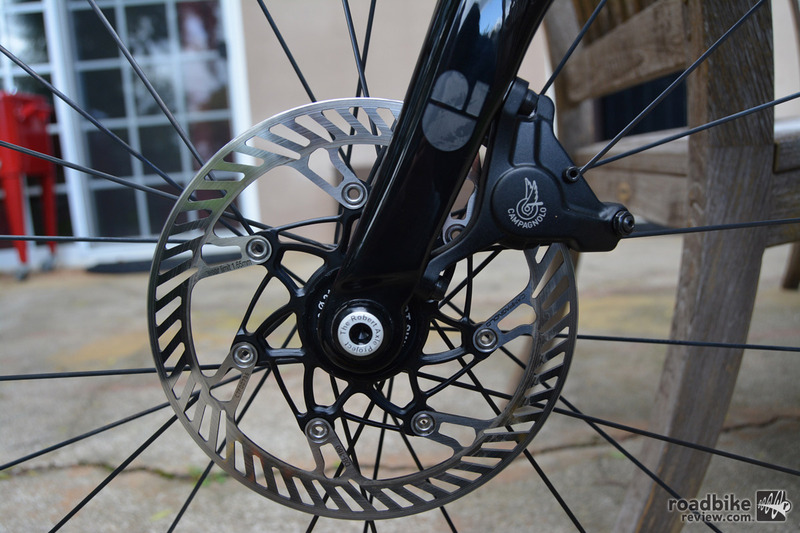 Disc brakes are mounted much lower on the fork than rim brakes. This means that when you grab the front brake, there is more play in the front end versus rim brakes. 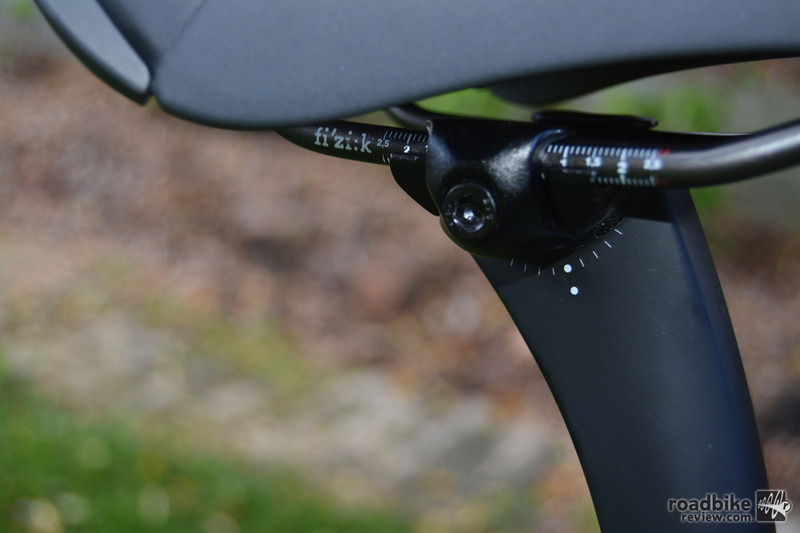 This is because the lower position of the disc brake gives more leverage against the fork and wheel. In fact, I measured 10mm of front end play (measured from the handlebars) when holding just the front brake and pushing the bike forward. In comparison, my rim brake bike pushed just 5mm. This effect gives the feeling that the headset is loose. It’s not a bad thing, just an observation on the difference between disc and rim brakes. Bottom line, the bike was very impressive. It’s a unique creation with a spectacular finish and extremely versatile ride quality. Couple that with the ability to truly customize the part spec, and you can really build your dream bike on this fundamentally solid and competent frame. Chapter2 is a new company started by Mike Pryde out of New Zealand. The fork felt flexy compared to rim brake bike. The front axle weighs only 28 grams. You just have to remember to carry a 6mm Allen wrench in case you get a flat. Hubs are the exceptional DT Swiss 350s with thru-axles made by The Robert Axle Project. 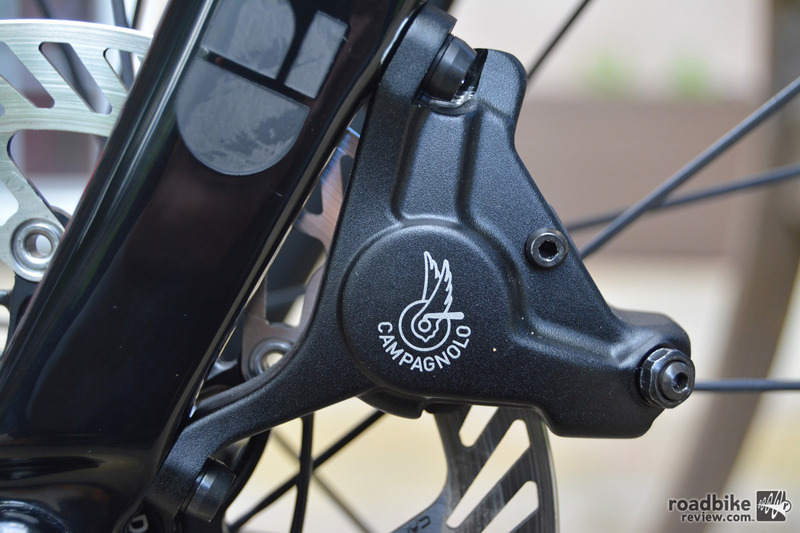 Our test bike was equipped with top-of-the-line Campagnolo H11, their disc-brake specific components that includes crank, rotors, calipers, and brakes/shifters. The bike is beautifully finished with a combination of matte and gloss paint. 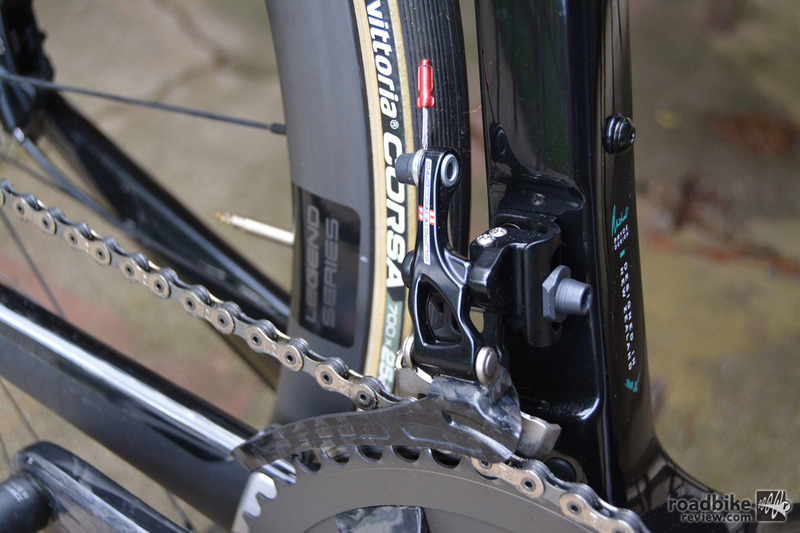 Tires were the sublime Vittoria Corsa 700×25. But the bike can accommodate up to 30mm rubber. The bike is remarkably smooth and the tallish head tube enhances comfort. The cockpit includes a Chapter2 branded aluminum stem and Fizik Cyrano alloy bars.